Ahead of the scheduled 2013 earnings announcement, SBM Offshore provded a year end update yesterday. Bruno Chabas, CEO of SBM Offshore commented: “From a difficult start, 2013 has been a year of achievements. 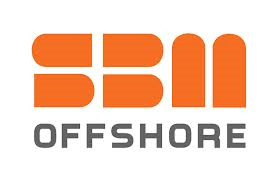 As we close, we are updating the market on further steps that mark SBM Offshore’s progress and our determination to manage our business rigorously and efficiently”. SBM Offshore announced that the Deep Panuke facility has received Production Acceptance Notice and is formally on hire. SBM Offshore also recently concluded a company-wide review of decommissioning provisions and vessel values. “As a matter of prudent accounting, this will result in certain non-cash charges. Even so, the Company will return a positive IFRS net income for 2013 and remains firmly within its covenants”, Chabas added. With the upcoming expiration of contracts for FPSO Kuito and FPSO Brasil, the company has undertaken the reassessment of decommissioning costs for both vessels. The expected costs associated with removing the vessels from service have proven higher than earlier estimates. As a consequence, a company-wide review was conducted in Q4 to reassess decommissioning expenses of all other vessels, resulting in a charge to income of approximately US$40 million. Within SBM Offshore’s fleet, the FPSO Falcon and VLCC Alba have been laid up since 2009, and 2011, respectively. Due to more stringent requirements regarding the use of single hull vessels with limited storage capacity, the estimated recoverable amount under current market conditions is considerably lower than the carrying value. This will result in non-cash charges of approximately US$55 million in the second half of 2013. Thunderhawk, a semisubmersible production facility in the US Gulf of Mexico, is the only facility in SBM Offshore’s Lease fleet portfolio which bears exposure to reservoir risk. It started operations in 2009. On production trends from current reserves, and projections from planned new fields, total deliverable volumes will be insufficient to sustain the asset’s current book value. As a result, the carrying value of the facility has been written down by approximately US$65 million. The company announced that it has completed the debottlenecking process, brought the platform to full production capacity safely and has received Production Acceptance Notice (PAN) from the client. The platform is currently on hire and generating full day rate as per contractual commitments. A charge of approximately US$5 million in connection with the final commissioning will be taken in the second half of 2013. The sale and lease back of real estate in Monaco continues to progress well. The company is pleased to report sale and lease back transactions for two of three buildings. The remaining building is now expected to be sold in 2014. Sales proceeds thus far exceed US$100 million, resulting in a book profit of approximately US$30 million. As the Company nears its fiscal year end, management anticipates FY2013 IFRS revenue of approximately US$4.6 billion. This represents an increase to prior IFRS revenue guidance of US$300 million, driven by the Turnkey segment. The announced write-downs and charges are predominantly non-cash items. Despite all the provisions and impairments taken throughout the year, the company continues to anticipate positive IFRS net income in FY2013 and to remain securely within its covenants.